Theft Control, Inc. is not affliliated with Sensormatic or Checkpoint. We have 20+ years experience in the service and installation of most brands of Electronic Article Surveillance and anti-shoplifting systems including Sensormatic and Checkpoint. Our new product line includes Sentech RF systems. Pre-owned sensor systems such as Sensormatic, Checkpoint and Ketec are available with warranties on the components. Theft Control. Inc. sells all types of security tags, security labels, detachers, deactivators and accessories for Sensormatic and Checkpoint. Both new and pre-owned items are available. Our years of Tech Support experience allows us to setup a virtually "Plug and Play" system that even the most technically challenged customer can successfully install and keep operating. We can ship and provide phone support anywhere in the USA. Call us at 1-877-757-7639 Toll Free for answers to your questions and for prices. There are many products available that are not shown on the website that are in stock. We have older systems and parts for Sensormatic, Checkpoint, Knogo and Ketec systems. 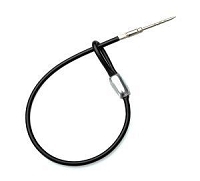 We have many used Checkpoint Radio Frequency, Sensormatic Acousto Magnetic and Magnetic label deactivators and hard tag detachers. We typically will only sell security tag detachers to retail stores and will only ship the tag remover to a verifiable business address. Our used (pre-owned) Sensormatic and Checkpoint products will come with a warranty ranging from 90 days to 1 year according to what the product is. Most new systems have a 2 year warranty on the parts. Some of the items we have are Sensormatic and Checkpoint power packs, circuit boards and power supplies. Anti-shoplifting systems can not stop shoplifitng completely, but will reduce theft enough to make it a valuable investment addition to your crime prevention arsenal. Loss prevention can be realized with a properly installed anti-shoplifting system and using security tags and labels on as many items as possible. 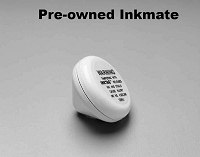 We also have Ink Tags can be used alone or with Sensormatic or Checkpoint tags as an additional deterrent. 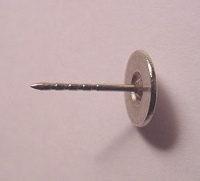 Clothing is typically tagged with a tack through the back side of a seam with the tack going into the locking mechanism of a hard plastic security tag. 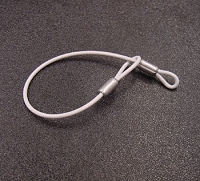 The tag is released from the pin using the proper style tag detacher. We keep Sensormatic AM UltraStrip security labels in stock, including UltraStrip DR Labels and LE labels. 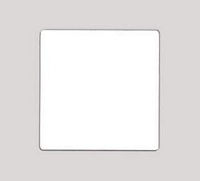 A large selection of 8.2 Mhz and 9.5 Mhz RF security labels for use with Checkpoint, Ketec, Sentech and other brands of Radio Frequency security tag systems are available. For libraries and Video Rental Stores. We have Magnetic Labels and RF Labels compatible with Checkpoint and Sensormatic electronic article surveillance systems. 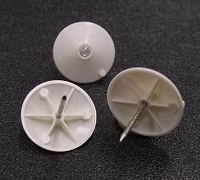 Stargate security tag systems and WG security tag systems . They are called Ultrastrip labels and come in Dual Resonator (DR) which has the highest sensitivity and Low Energy (LE) using a single resonator and having slightly less sensitivity. The Sensormatic AM labels are used worldwide. Radio Frequency (RF) These security labels are used with 8.2 Mhz tag systems for retail stores and 9.5 label systems for video rental. There are many makers of these tag systems and labels such as Checkpoint, Ketec and Sentech. Our security labels are compatible the all brands of these system. 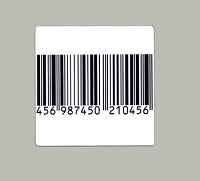 Somes RF tag systems are made only for the larger plastic security tags and cannot be used with labels. We can help you determine the correct tag for you system. Check out our security label deactivators. We have used Sensormatic Power Pads and Compact Pads for use with UltraStrip labels. 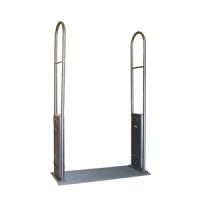 There are used Checkpoint deactivators such as the various CounterPoint models. We also have new Sentech deactivators that are compatible with Checkpoint security tags and labels. 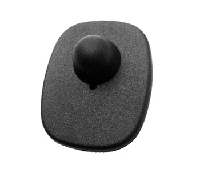 Look at our large selection of security sensor tag detachers that are available for Sensormatic SuperTags, UltraGators and MicroGators. 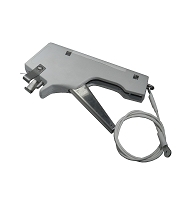 We sell SuperTag Power detachers and Super Tag hand Detachers. 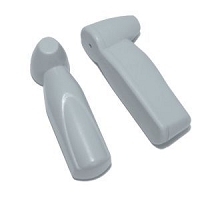 There are SuperTag power detachers and hand detachers in stock . 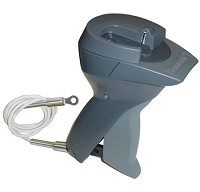 There is a new Sentech hand detacher that is compatible with Sensormatic Ultragator and a MicroGator security sensor tags. 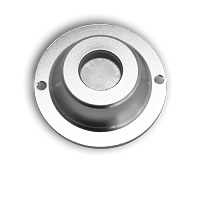 Also, we have new Magnetic Detachers that are available for Checkpoint, Ketec, Sentech and all other magnetic release security sensor tags. 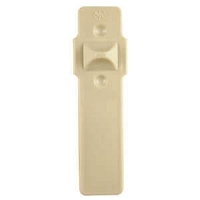 Please take a look at our selection of Security Sensor Tags. 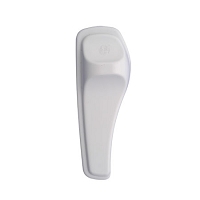 A new item we stock is the Sensormatic Super Tag. We have new and used tags in stock ready for immediate shipping. The most popular tags are the Radio Frequency Mini tag compatible with Checkpoint security tag systems and the SuperTag for use with the Sensormatic Ultramax style systems. Our ink tags can be used as a visual deterrent in conjunction with all brands or security tags such as Sensormatic tags and Checkpoint tags. 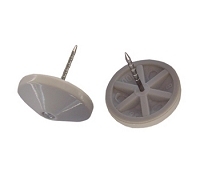 With the various styles of backs available we can match up the ink tags to your existing security tag detachers. 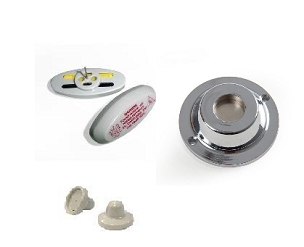 The are different backs, clutches and tags that can be attached and released with SuperTag Power Detachers, Sensormatic Hand Detachers and Magnetic Detachers for Checkpoint security tags and other magnetic release tags. We also have superlock detachers. We can supply Electronic Article Surveillance systems, for retail loss prevention, such as the Sensormatic Ultrapost system and the Checkpoint Quicksilver system. These systems are preowned with warranties on the parts. We setup these systems for your installer to be able to install with the minimum amount of work. We are always available for support and to resupply our customers with security labels and security labels at affordable prices. Our new Sentech systems come with a 2 year warranty on the parts. Used Sensormatic systems have a 6 month warranty and the used Checkpoint system have a 1 year warranty. The warranties for the systems we sell are provided by Theft Control, Inc. If you are a customer that got home with a sensor or ink tag on your purchase, return the item with your receipt to the retail store where you purchased the item from for removal. 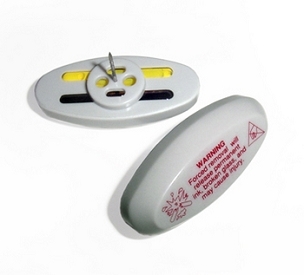 Trying to remove a sensor security tag or ink tag without the proper tool can cause injury. This also applies to shoplifters.